There are as many different types of psychics to choose from as there are reasons for wanting to see one, so figuring out how to choose a psychic for your first reading can be a bit confusing. And of course, if you have no previous experience working with a psychic intuitive, you may be wary of someone who isn’t really psychic taking advantage of you. Let me put at least some of your fears to rest – psychic abilities are real and EVERYONE – including you – has them. Some of us are just more adept at using them than others. It’s a latent skill that everyone has, some are more talented than others and some work at that skill to develop it. Some of us develop it so well that we’re able to make a career out of it, just like someone who has an eye for design becomes an artist or interior designer, or someone that has a green thumb becomes a farmer. Some children are born talented artists and composers from the get go like their parents before them, others take years of lessons to get where they are. And so it is with psychics – and their gifts are as varied and unique as the person behind them. Everyone has their own style, their own technique and their own specialty. So how do you know how to choose a psychic? The first thing you should do is ask yourself what you intend to get out of your reading. Are you looking for advice on a particular life situation? Are you looking for spiritual guidance? Do you want to make contact with a deceased loved one? Do you want to know about your past lives or meet your spirit guides? All of these questions are important to answer when determining how to choose a psychic. Different psychics are better at certain things than others and they may not always tell you if you’re delving into territory that they aren’t particularly experienced at because they don’t want to risk the embarrassment of turning away a client after they’re already sitting face-to-face with you. With that in mind, it’s good to do your research ahead of time. Also take into account that the information you receive from any given psychic may vary depending on that person’s personal beliefs and filter. As my psychic development teacher used to say, “All mediums are psychics but not all psychics are mediums.” Some people simply don’t work with this type of thing. Others can, but it’s not frequent and it isn’t what they specialize in. Angelic energy is of a very high vibration and not everyone is able to connect with that type of energy on a regular basis. There are several psychics out there who specialize in angels, so you’ll want to seek out someone with that specific gift. If you’re looking for guidance or understanding in a specific situation that you currently find yourself in, a general psychic reading can be helpful. You’ll want to find someone who is professional and ideally has a background in counseling to help you sort through the information they give you and help you determine the best course of action. Tarot can be a great tool for determining certain themes that are occurring in your life as well. If you’re wanting to visit a psychic because you want to know what’s going to be the specific outcome of a certain event, I encourage you to take it with a grain of salt. A psychic can only give you a prediction based on the current trajectory of energy in the present moment. But you have free will, and as such, that trajectory and outcome has the ability to change based on your thoughts, intentions and decisions. If you are dead set on finding out your future, you should go to a psychic who is upfront about the possibility of predictions not coming true and who will also recommend the best course or courses of action that will lead to the predicted outcome, or more ideally, to whichever outcome you want. Looking into past lives can be a very healing experience and for many it can help them understand the present and shape the future. 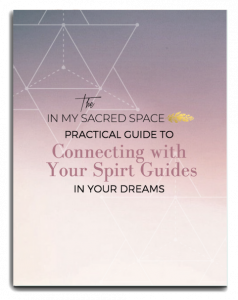 You can get information about your past lives through guardian angel readings and spirit guide readings, but for information straight from the horse’s mouth, you’ll want to contact an intuitive who has special training in reading Akashic Records. Akashic Records are like the hard drive in a computer – it holds all of the information about what is and will be, and all of the possibilities in between. Please note that the Akashic Records are not an open free-for-all and you will only be granted access to information that it is your time to know. There are many psychics who specialize in Akashic Record reading so you’ll want to ask if they are familiar and have done this before. Another option for looking into the past is a guided past-life meditation or a past life hypnotic regression. A guided meditation will offer you a small glimpse in to one or two of your past lives, but may be difficult for beginning meditators. A hypnotic regression (done by a trained hypnotherapist) will take you into a much deeper state of trance where you can get very detailed information about your past lives. Beware the word “certified” – hypnosis is also a skill and some are better than others. A really good past life regression session should last around 2-4 hours. Life between lives (LBL) regression is a third option, which requires an even deeper state of trance and there are regressionists who specialize in this area alone. Look for a Michael Newton or Bryan Weiss certified LBL Regressionist if you want a thorough session. You can check out my list of recommended psychics here – I have had readings from every single one of them and I highly recommend them. All in all – do your research, make sure the person you choose can work with the type of information you’re seeking, and above all, keep an open mind! Can A Psychic Tell Me My Future? Blessed to have come upon your site.